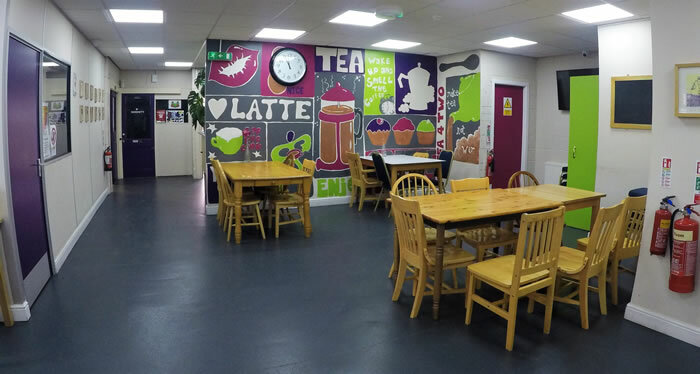 The Big Soup Bistro offers a fantastic opportunity for people to work as a team in a working kitchen where they will learn cooking skills, health and safety policies, healthy eating strategies, meal planning and basic food hygiene as well as improving their social skills. The Bistro is a great, safe space for people who are interested in catering where they can gain hands on experience of working in a kitchen that regularly serves over 70 people each lunchtime. On a daily basis service users will prepare the food that is on that day's menu, help with serving the meals to all people accessing the Luton Street building and afterwards assist with cleaning the bistro and kitchen areas. Service users can even decide to do our specially designed basic food and hygiene program.